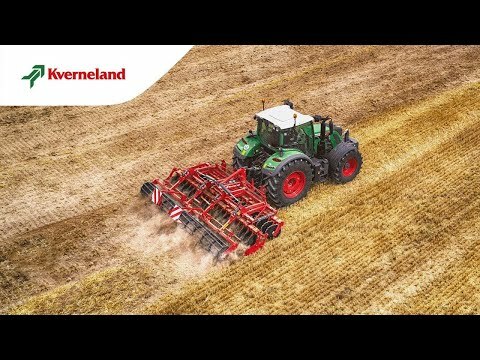 The even incorporation of the straw presents a key factor for seed germination.Therefore, Kverneland has designed the Qualidisc Pro to comply with these requirements, but also to offer the farmer a versatile machine which is ready for shallow as well as for deeper cultivation. clay. Small notches are kept to maintain the very good cutting quality. Actiflex roller Ø 580mm – 160 kg/m: intensive mixing effect combined with a good recompaction makes this roller the ideal tool for best volunteer's regrowth.